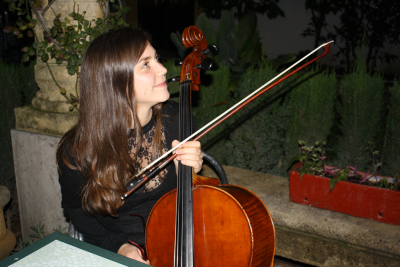 She started studying cello at the age of 9 at her hometown Vigo (Spain). There, she participates in different orchestras like Orquesta clásica de Vigo or Joven Orquesta de la Sinfónica de Galicia. Afterwards she studied the Cello bachelor degree at Conservatorio de música de Córdoba, with the teacher Alvaro Campos. There, she also played in different orchestraslike Camerata Capricho Español, Orquesta Joven de Córdoba and Orquesta Joven de Andalucía. Thanks for this orchestra, and the chamber music teacher, Alejandro Muñoz, she formed the Cuarteto de Cuerda Córdoba with other colleagues. They have played all around Andalucia and, in March 2015 they were finalist at the “Concurso de música de cámara « Jacobo Soto Carmona » at Almería (Spain). In 2013 she went to Belgium to study her master at Lemmensinstituut with Martijn Vink, finishing it on June 2015. Aftwerwards she studied the master of chamber music with Marc Tooten, graduating on June 2016 and the Teacher degree, finishing it on June 2018. During those years she has been playing with Frascati Symphonic Orkest and collaborating with Metropolis Orkest(Antwerpen), Antwerpen Academy Ochestra and Brussels Philarmonic Orchestra. She has taken masterclasses with teachers like Álvaro Quintana, Asier Polo, Nitzan Laster, Miguel Jiménez, Bárbara Switalska or Cristophe Coin, among others. – She has collaborated with professional orchestras like Orquesta Vigo 430, Orquesta Filarmónica Ciudad de Pontevedra and Orquesta Lírica Gregorio Baudot. 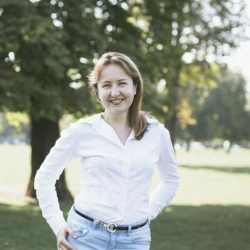 Nowadays she plays at Frascati Symphonic Orkest, she is cello teacher at Muziek School De Vlier, in Leuven and Jeugdmuziekschool Mierennest in Dworp and she is music teacher at the secondary school KA Emmanuel Hiel in Schaarbeek. Born in 1987 in Zabok, Croatia, she had her piano recital début in the hall of the Croatian composers’ Society in Zagreb at the age of 15 and her first piano concerto performance at the age of 16 with the City Orchestra of Pärnu in Estonia by performing the KV 414 Piano concerto by W. A. Mozart. She had the honour of performing in the house of Franz Liszt in Weimar as a part of the European commemoration of the 200th anniversary of his birth. In spring 2013 she was invited to perform in the honour of Croatia’s accession to the European Union at the ceremony in Luxembourg. 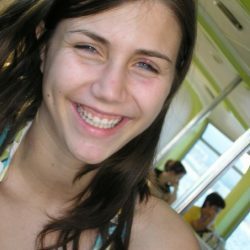 Her former musical activity also covers being a docent on the Hochschule für Musik und Tanz in Köln, Germany.She studied in the class of Jean-Pierre Moemaers, Alan Weiss, Grigory Gruzman. She has attended masterclasses by Lilya Zilberstein, Andrey Pisarev, Boris Giltburg, Daniel Rivera, David Miller, Dina Joffe, Eugen Indjic,Désiré N’Kaoua,Pietro Da Maria, Sergio Tiempo. 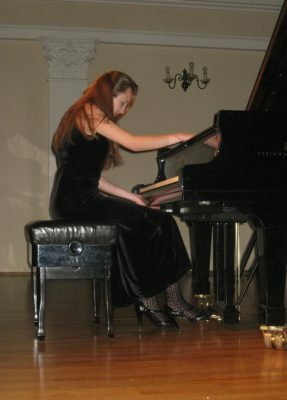 During her education in Croatia she has graduated in the class of professor Dalibor Cikojević on the Music Academy in Zagreb and was under previous mentorship of Ljerka Čavić-Tomčik, professor Arbo Valdma and Slavica Viličić. She has been the piano accompanist in ClarinetFest Young Artist Competition in Oostende, Midsummer Mozartiade Festival in Bruxelles, 4th International clarinet competition in Ghent. Her work My Mums’ Stories for which she is the author of both music and lyrics, was performed at the Croatian Children Festival in 2005 and subsequently released on a compact disc.